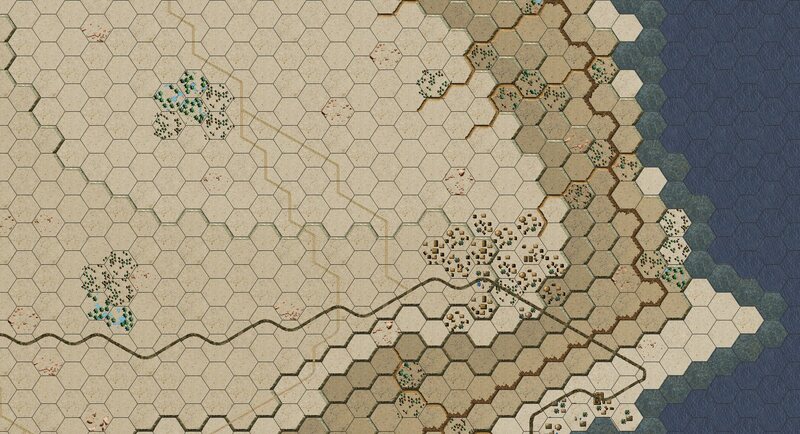 With the last blog entry dedicated to vehicle graphics we’re reviving the promised map graphics entry. The scenario creation will be deferred to the next blog post. 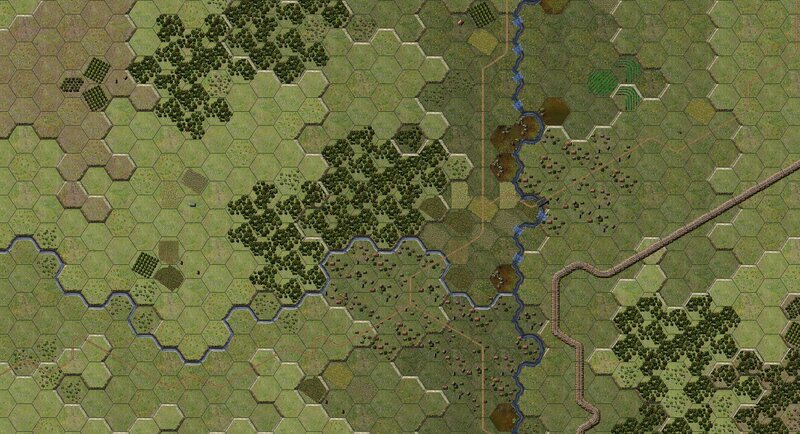 A map, like game counters and unit images is one of the most obvious visual elements. 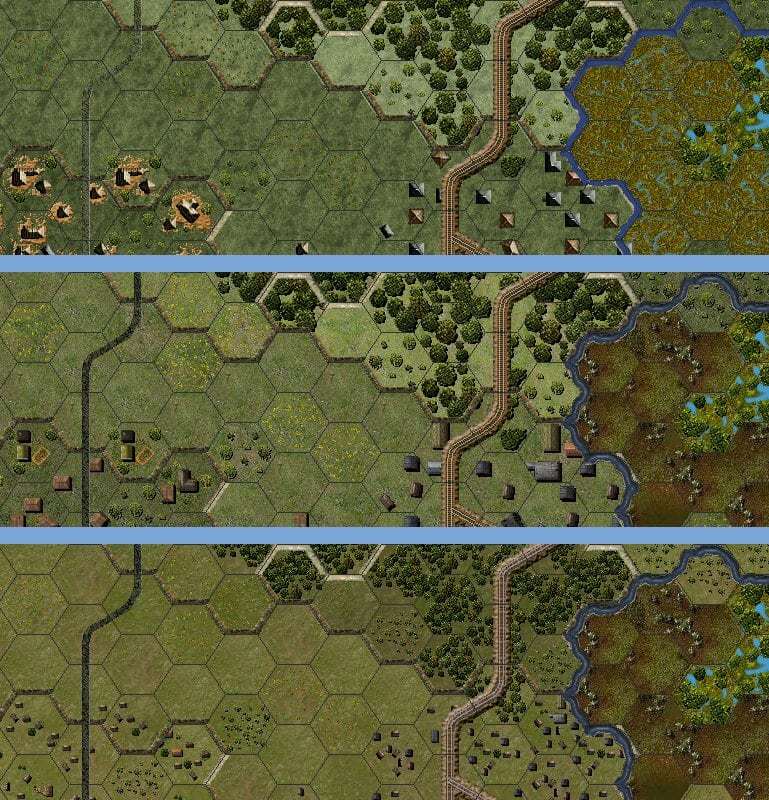 Maleme Crete includes what are a third generation of map graphics since launching the Panzer Battles series. 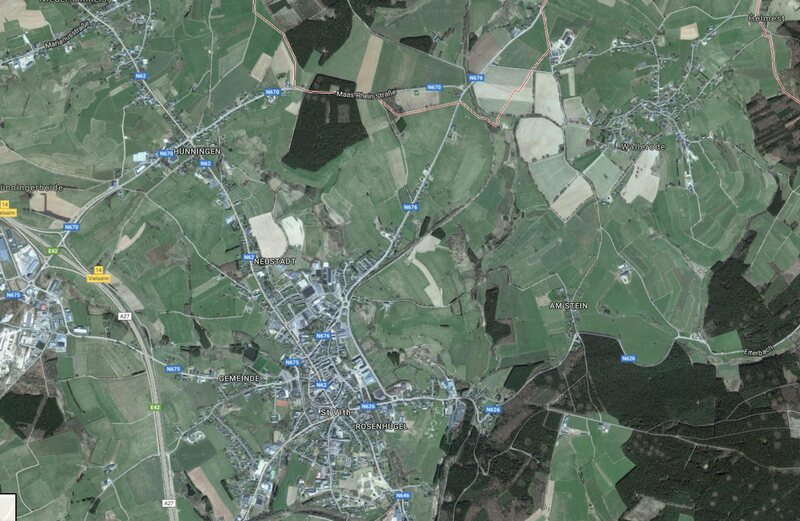 We decided to go for the more naturalistic satellite view for Panzer Battles. 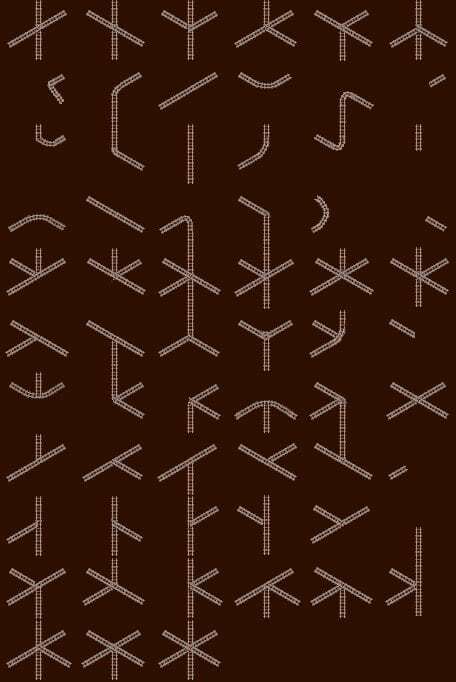 As these are grand tactical scale games we felt it lent itself better to this overhead style. 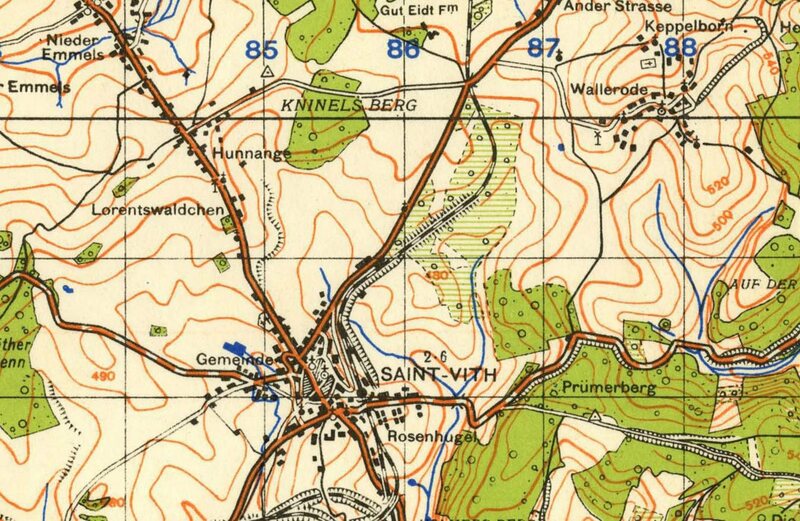 For higher scale games such as Panzer Campaigns there is a stronger argument for the more stylised map. 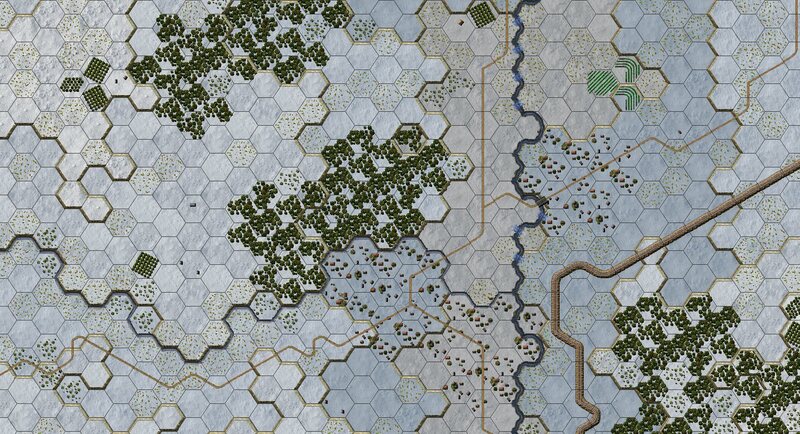 The terrain map is made up of a number of components. 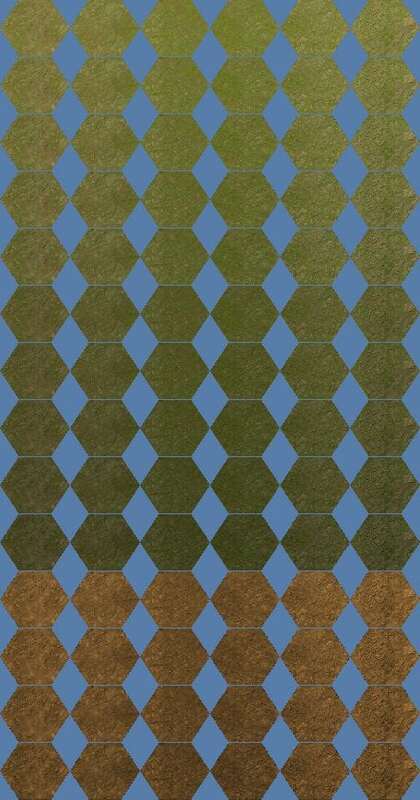 The first is the base hex terrain. 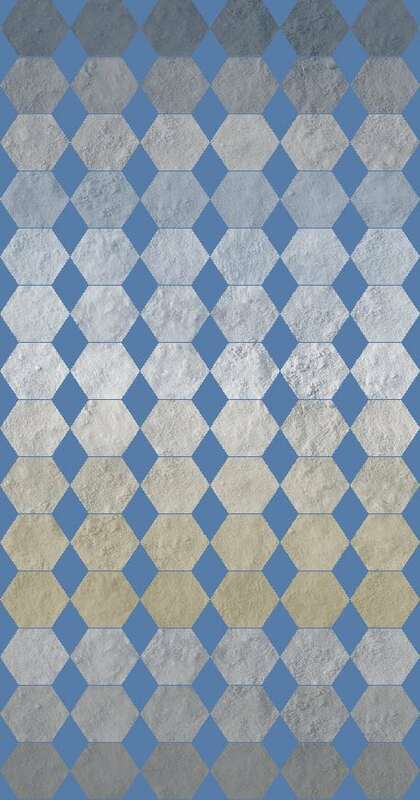 This is used as the default ‘clear’ hex and all other hexes are built on top of it. All of these files are easily editable in any graphics editing program and allow the various look and feel of each theatre to be obtained. We are constantly tweaking the map graphics as we learn new techniques and I expect all our graphics will continue to evolve over time. As mentioned in the last blog entry, we plan to cover scenario setup in our next post. Looking beautiful, David. Great improvements incrementally. Thanks for posting. Is that Sollum (bottom right), with the road leading out to Fort Capuzzo? But is it small version, or large? Yes, that’s Sollum. I’m yet to do a small version for the desert, so yes that is large. Small will become our default going forward. 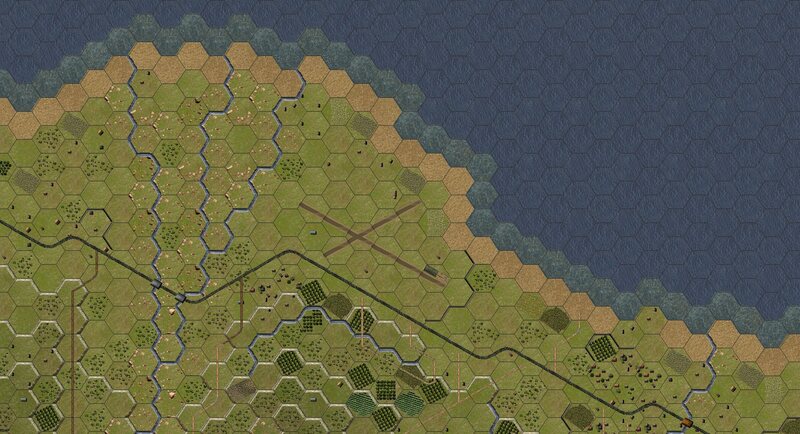 As far as changing/removing the slope hex sides – i’ll do that informally, but not as part of teh official release. Especially like the little bits of water in amongst the trees in the oases! Is the Maleme pic small version and the Sollum pic large version? Not sure now. Lol. 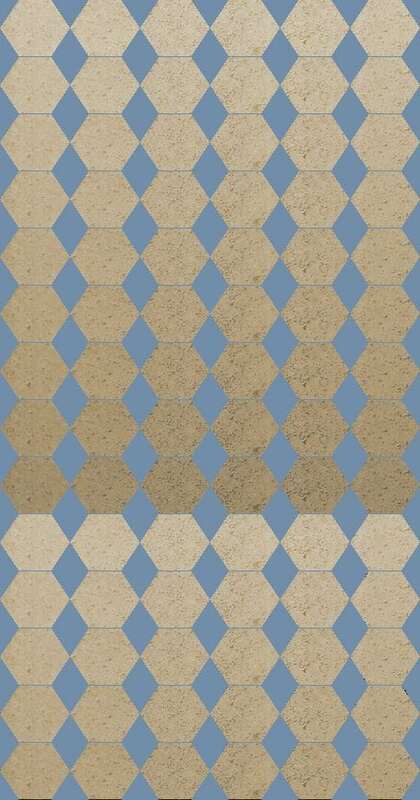 Any more updates on a Crete release? Would love to be able to play this one day soon. We’re working hard on it currently. Crete is done and we’re all baking in the desert currently…! 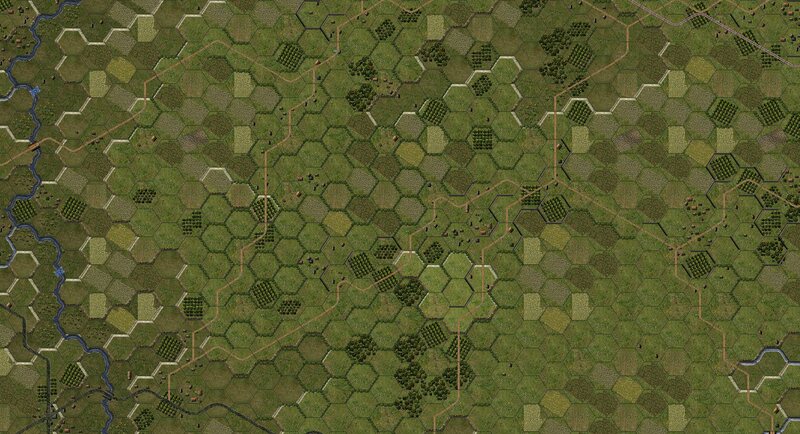 I’m planning a blog post soon to update you all on where we are with the latest Panzer Battles title.